OLYMPIA, Wash. (AP) — A company that wants to build and operate a large terminal to export coal from the western U.S. to Asia was denied a key permit by Washington state on Tuesday because of environmental concerns. 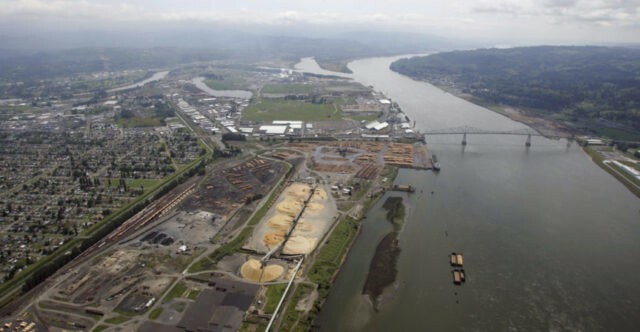 The Department of Ecology rejected a water quality permit that Millennium Bulk Terminals sought because the proposed facility near the city of Longview would have caused “significant and unavoidable harm” to the environment. The department cited effects to air quality, noise pollution and tribal resources, among others. “There are simply too many unavoidable and negative environmental effects for the project to move forward,” Ecology Director Maia Bellon said in a statement. “The state did the right thing today, standing up for clean water, public health and the Pacific Northwest’s iconic endangered salmon runs,” Power Past Coal co-director Jasmine Zimmer-Stucky said in a statement. An environmental review released in April by Washington’s ecology department and Cowlitz County analyzed potential harm to fish habitat, wetlands, water quality, local communities and more. Of 23 environmental areas, 19 would face harmful effects, and some could not be offset or reduced, officials said at the time. Associated Press writer Phuong Le contributed from Seattle.